Home » Education » San Dieguito River Park Turns 30! What happened in 1999? In 1999, the San Dieguito River Park JPA was celebrating its 10th anniversary, and there were so many active projects. The River Park had just been awarded a $3 million grant to fund the design and construction of the bicycle/pedestrian bridge across Lake Hodges and a grant for $212,000 from the City of San Diego to begin restoration planning at Sikes Adobe. The River Park had acquired more land, and the restoration of the San Dieguito Lagoon had begun. Another smaller but noteworthy project launched in 1999. It began on California Trails Day when volunteers came to improve the Highland Valley Trail Staging Area. The project included adding a seating area, plantings, a kiosk, and the River Park’s first interpretive walk with a self-guided booklet. It was named the Ruth Merrill Children’s Interpretive Walk. 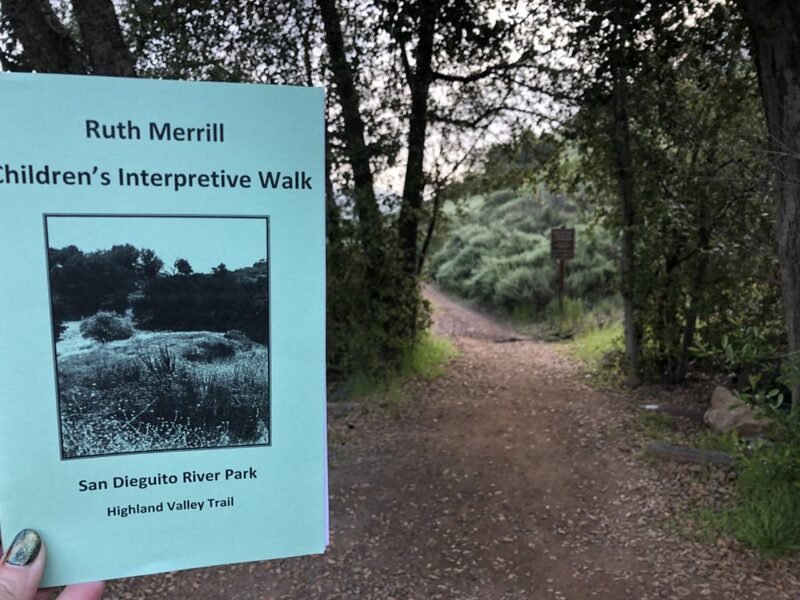 The interpretive walk was named after Ruth Merrill, who contributed greatly to the preservation of open space through her dedication to the River Park and Conservancy. The interpretive walk travels along the Highland Valley Trail for about 1.5 miles round trip. On the walk, you find the discovery points that give you a wealth of information. Topics include native plants, animals and their tracks, ecology, local history, and much more! The interpretive walk has been used by thousands over the last two decades. The booklet was reprinted but the content always remained the same. 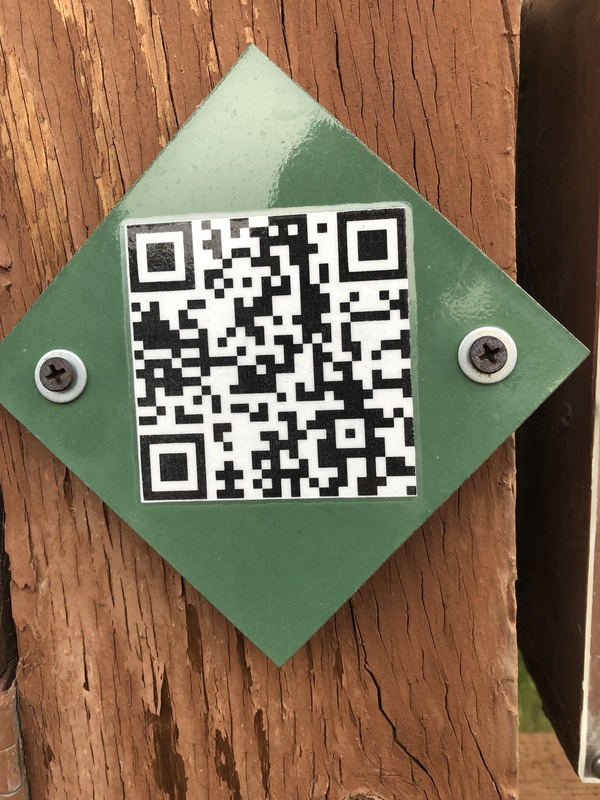 This year the interpretive walk goes digital to support this ever-changing world. Click here or scan the QR code below to view the digital version of the Ruth Merrill Children’s Interpretive Walk.